Since readers have continued to be curious about Google Page Rank (GPR), I decided to take up an assignment for myself and write GPR Part II from my discoveries within the past few months. First things first, before we get technical. One person we should recognize is the GPR founder. Google Page Rank was founded by Larry Page, one of the founders of the Google search engine. Not so shabby to have one of the hottest ranking system on the internet named after you, wouldn't you say? To make this article simple to read and identify with, I have it broken into three parts. From the first article and comments, I have repeatedly noted that there are three essential items to pay attention to in how Google Page Rank is determined: 1) links, 2) contents, 3) traffic. Links: Natural building of links is established when an article you have written is promoted on another site. Someone found your subject, article written to be of quality, thereby placing a link to your site from their site. At which time turns the linking act into a “vote count.” It is called Inbound Links, (IBL) for technical. Like many things in life, voting is the way to get others' approval and attention. If you have many links to your site, then it must have meant that many people are looking, watching and interested in what you’re posting, and what you have to say. As a result, the linking act or voting count equates to your content being valued, or valuable. The more valuable your content is the higher it is rated. If you want to see who links to your site use this link in Google search: link: http://www.yourURL.com. Content: What you post on your website matters. Your articles should represent your blog. What does that mean? If your blog is about fashion, don’t blog about prescription drugs. You can if you want, it just won’t be viewed as valuable content for your site. Next, believe it or not, the comments from other people matter, if you’re receiving quality comments relating to your article, it will count as quality word count and therefore enhancing your content. When you received comments like: “great, beautiful, nice job” all this does is adding a link to the commenter's site, or profile. It wouldn't do much for your content, or article, however, they are at least contributing to your traffic rank. It's your choice, me, I prefer not to publish a one, two word comment. Traffic: this is probably the least important in GPR, as I have seen many higher page rank websites with lower Alexa traffic rank than the lower page rank sites. Although, if you cite back and analyze traffic, links, and quality contents they are all intertwined. For example, if you write an article of interest to the general public, people will come and read it, which increases your traffic, and if they really are genuinely great people, they will link to your article and not steal your work. In sum, focus on your own site, provide quality content, and start building quality links. This is the best way to get a higher Google Page Rank. These are the key requirements to building higher Google Page Rank to which I have read and accumulated. Take away what you can. This isn't the last article you will read about Google Page Rank, so if you have further information and contribution to this article please provide them below. Our readers will appreciate it. 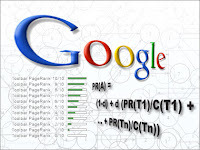 Google Page Rank Part I - Google Page Rank 1, 2, 3 What Does it Mean? Google Page Rank Part III - What is No Page Rank, Not Searchable Blog? Super easy to understand article! I think earning a page rank from Google is much harder than moving traffic up on the scale of Alexa ranking..You've nailed it. It is incredibly hard for most people to move up on the page rank number, all the stars have to aligned. Great information in both articles. PR is one of those things I get curious about ever so often and check but I don't work at changing. The part I really find interesting is links, I had no idea they were that important. I sometimes see where someone has linked back to me but I didn't think much about it. I really do enjoy reading about the process behind page ranks and look forward to your next article on the subject. Thanks for sharing all of this info. I have some inbound back links when I check my Alexa rating but never knew what that meant. I know that traffic matters but quality traffic is what we all look for. the back links are very important to show how your site is doing Joanne. Thanks for a great comment. Interesting to learn about page ranks. I didn't realize that it made a difference what was said in the comments. When I first learned of it, I thought no wonder, even with me not being technical, I already feel weird just posting a one word comment. Like everything, blogging started out with a different game in mind, until everyone decided to make it their Facebook with more posting options, and that is why we are where we are today. Betchai, the only thing I could think of is that you have many quality links, for example, most people, Icy, myself, Judy, Diane etc, have decent page ranks and we all linked to you, thereby you have many good sites' support. Plus, don't discount the fact that your content, the quality of your photos are so amazing, it's a given. You and Icy are always teaching me something. One thing I did learn when writing at ehow is that comments are more helpful to your traffic if they mention your subject matter. Some how comments that are simply "nice job", for instance, water down our content in the search engine ranking us lower on the ladder. I did not know that applies to blogging. I mostly blog for love of writing, but it is good to learn. Your watered down comment is an excellent example. As the comment option was designed originally for thoughtful feedback and not for the way many bloggers are using it to leave links. wow, thanks a lot for sharing sharing your response in my blog, Amanda. I did not even know that pictures count :) sometimes, i am so tired i know it woould be so easy for me to post a few pictures, but could not find the words to go with it, so I end up not posting anything :( so glad to learn much in this post and through your responses. again, many thanks. Your photos are part of your simple natural life blog theme. It expresses the different views of your take on nature and locations. Great article. Sorry I haven't been around much. I've been really ill and am in the middle of moving house too. I'll be in and out when I can, for the next 2 weeks or so. The love of blogging will keep you coming back. Very helpful information! I just don't pay attention to it, lol. It is best not to pay attention to the Google PageRank and just do what you love. Hi There, Thanks for visiting my blog. I hope you come back often. I have been lucky with Blogger --since I have ALOT of traffic even though I choose not to do memes, tags, etc... in order to get more followers. I have been on Blogger since Jan, 2008, and LOVE it. I just enjoy Blogging --and telling my hodge-podge story, mostly through pictures. I've learned alot through Blogging about photography --and with new cameras and alot of learning, my photos have improved. Hi Betsy, sounds like you're a long term blogger then. I have learn so much about the web and all of its technicality. I enjoy having online friends too. It fits well with the marriage and children life. This has been a very helpful article. My friend, Poetic Shutterbug, tried to explain the whole page ranking thing to me but it is good to see all the info in print. Honestly, I write, mainly as a catharsis for myself and a way to keep myself from going crazy after the loss of my job of 21 years in San Francisco's massive budget cuts. I want my blog to have somemeaning, however! I love your writing, and getting to know you. It's awesome how you and Jo can write so well. I am into practical writing. I am not much of a dreamer. I can be though a little dramatic at times. smiles. Hi Amanda, I am blogging from Zee's old blog that she has not been using for a while. I have not been posting at my old blog (PR3) because I get so many spammers, anonymous comments, and sometimes just simple lurkers. I am glad you like this new set up which I finally got it working for two weeks now. It has PR2, hopefully I can increase its rank in the future. The B stands for Blogger for those who have blogger format. I am hoping for lurkers on my blog. smiles. I don't care if they don't leave a comment. I just hope the lurkers found something to keep coming back to lurk about. I have to swing by and visit you sometimes. I stopped blogging for few years and had a pr of 4 or 5 mainly because was listed from DMOZ. Now have started again and PR was 0 now it is 2. I wanted to join DMOZ, but I believe it costs some $, so it wasn't my cup of tea. Building your site back should be fun, going beyond PR 3 has been a slow process for SelfSagacity. Thanks for the comment and the visit. Although, I have written few but quality articles in recent years but my page is still not ranked by google (i.e., N/A). I checked and you do have a ranking of 1. Do you have quality links? Do other bloggers link to your site? I would say that might be one of the missing elements for you to increase your page rank. my pagerank is 2,3months back.now the pr is 3.isit good or not.iam litte bit confused. Thank you for response. It has been a long period ! I had manged my blog to be linked by facebook (myself and friends) probably that might have helped to rank as 1. Hi Bismar, that is a very good point. If there is opportunity for you to link from high page rank sites such as Facebook, it certainly is helpful. A plus is that you don't have to beg anyone to link you back. Smiles. Thanks once again for the wonderful information. Do keep us informed if there is a part 3 coming up. It's been, like 2 years already? Looking forward to more tips. I should be working on part 3, thanks for the suggestion. I think part three will be very exciting. smiles. thanks for the visit. Page Rank is an inspiration. It makes you strive for better numbers on your webiste. smiles. Thanks for the info. Do other search engines have similar equivalents to page rank? Also, two of my blogs are showing up as PR2 and PR0 and yet they seem to get similar results on the Google search engine and have both made the first page for certain keyword searches. I've never made the top three search results for any search term though (other than for very specific searches), so does page rank only really play a big difference if you are aiming to be get to the very top of the Google search results? No they don't, at least that is the current way. Although they change quite a bit. They use the meta tags and SEO techniques to placed the articles. A lot of people are comparing their placement in searches, it is only one of the ingredients, but does not mean it is what Google use to rank the entire website. Answer to your last question: not really. I am happy with my page rank, I also try to work on my alexa ranking = which is by popularity. How to Increase Alexa Page Rank and How is it Different from Google?. It depends on what you want to do with your blog or website. Great Article. Thanks for sharing. It can be a tedious task getting quality backlinks, but it must be done. Thank you so much for this and part 1. I was trying to find a straightforward explanation as to what GPR was and how to increase my rank, and you've done a great deal to inform me. Currently my site's page rank is at a 2, but considering my site is less than a year old, I am pretty pleased with that number. Thanks again for the info! This is really very informative. I applied once to AdSense, but it disapproved me for content related something which i don't understand. Then i made another blogsite and tried submitting again, now they said they want variety. I wonder how i can put variety when obviously i am blogging about plants! After that i stopped trying, never mind. But thanks for this, you are helping lots of readers. That makes a lot of sense Kalanlikan. I too had that experience of them disapproving me for adsense. I have tried to resolve it, but they keep saying there is something wrong with my account. I decided it wasn't worth it. It really wasn't considering how much you earn for how much you are going to get. I've been blogging now for 1 year and 3 months and have a page rank of 3. I did used to own an online shop many years ago, in approx. 2001 onwards and I remember the page rank being very important in the day and I spent a lot of my time and hard work creating a reciprocal links page back then. However, I've been doing quite a bit of research into this, in modern day standards, and it seems that blog comments with links in them back to our own websites (such as this comment) don't count toward the page rank because they're automatically set as 'nofollow' links therefore no 'link juice' is given. What do you think to this? It seems that all blogging platforms add the nofollow to blog comments. It seems that the only way around it is to either download the Wordpress plugin to allow follow links in comments or to entirely code your theme. I'm not sure whether that's possible on Blogger as it's not self-hosted as Wordpress.org is. Either way, conflicting modern information. What do you think? I have a page rank of 0 but I'm on the 2nd page for some keywords. I'm hoping I can get a proper rank e.g 1.. 2.. just gotta wait and see. Thanks for the information. Gone: "webmasters can improve the rank of their sites by increasing the number of high-quality sites that link to their pages." Replaced by: "In general, webmasters can improve the rank of their sites by creating high-quality sites that users will want to use and share." Have a thought? Please leave a comment here, and I will return as soon as possible. Thanks - If you have a minute, why not check-out the sibbling of Self Sagacity.com Blogger Broadcast. Extra Links = Spam = Delete. Google Page Rank 1, 2, 3 What Does it Mean?